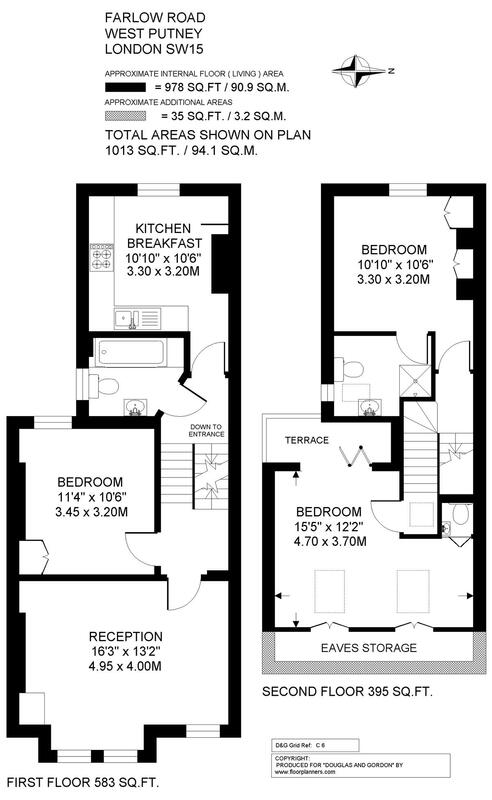 This stunning three bedroom flat (1013 sq.ft.) 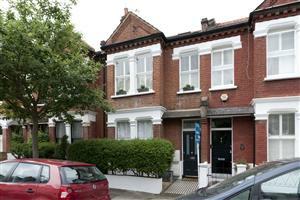 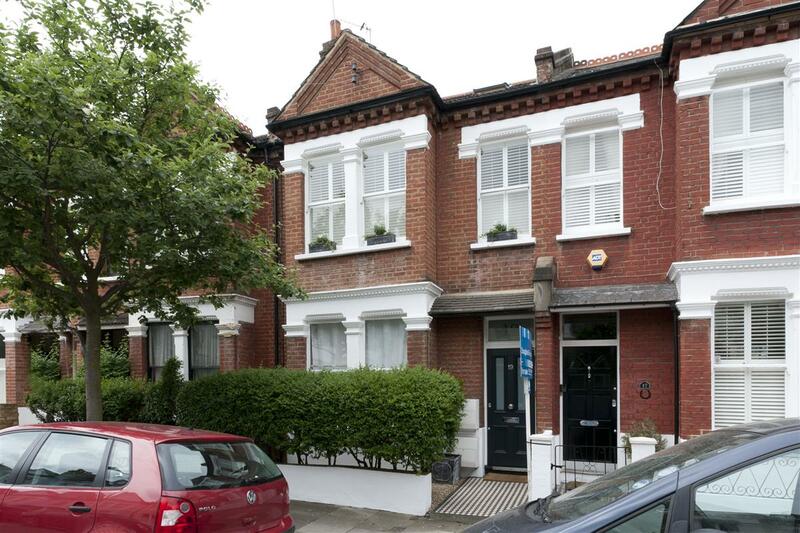 is located on this popular residential road ideally placed for the shopping facilities of the Lower Richmond Road. 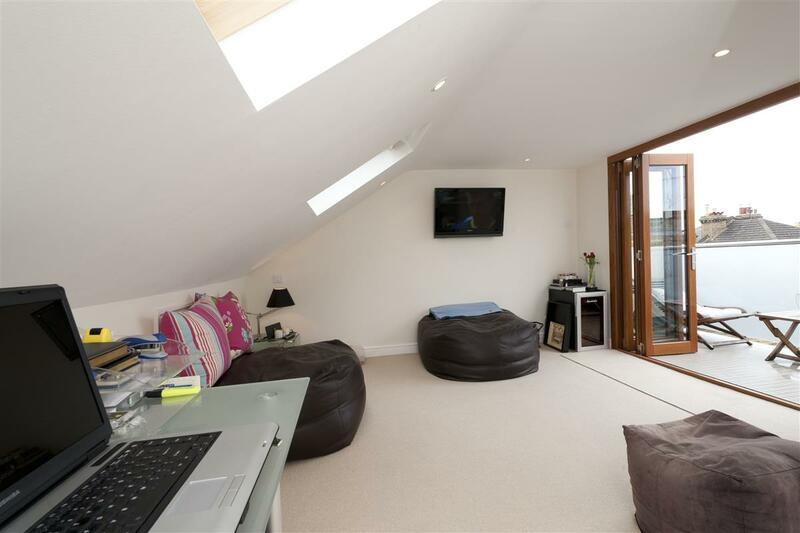 The property offers flexible accommodation in that the second floor largest bedroom could be used as a television room or study depending upon requirements. 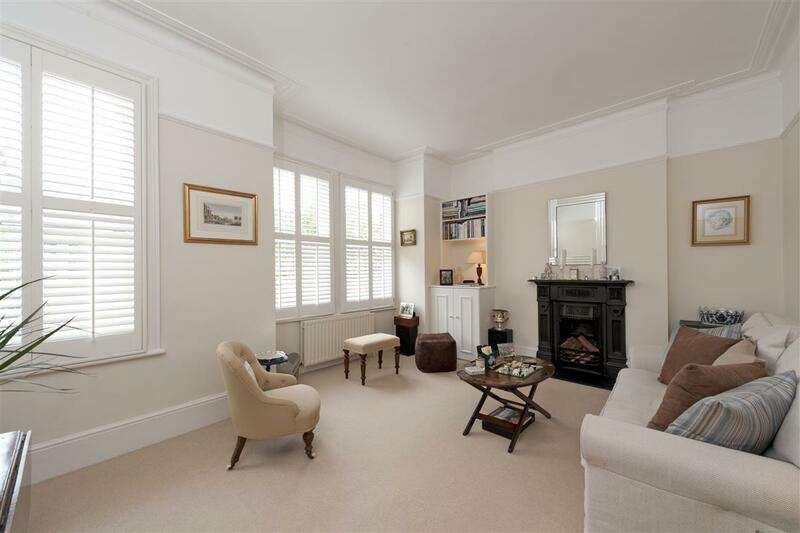 The property is located on the first and second floors, and comprises a 16’3” x 13’2” reception room with a feature fireplace, cornicing, fitted cupboards with shelving above, and three sets of windows with fitted shutters. The kitchen/breakfast room (10’10” x 10’6”) is equipped with a range of wall and base units with wooden work surfaces and is fitted with a four ring gas hob and oven below and extractor over – there is space for a washing machine, fridge/freezer and a breakfast table. 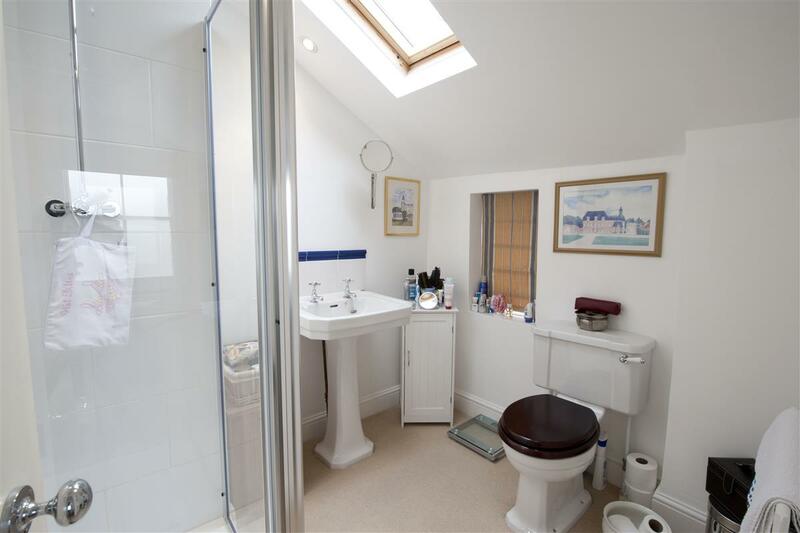 Also on the first floor is the bathroom and a double bedroom (11’4” x 10’6”) with a fitted cupboard. 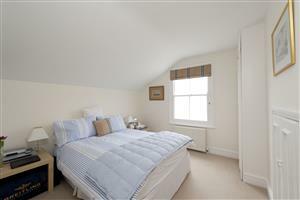 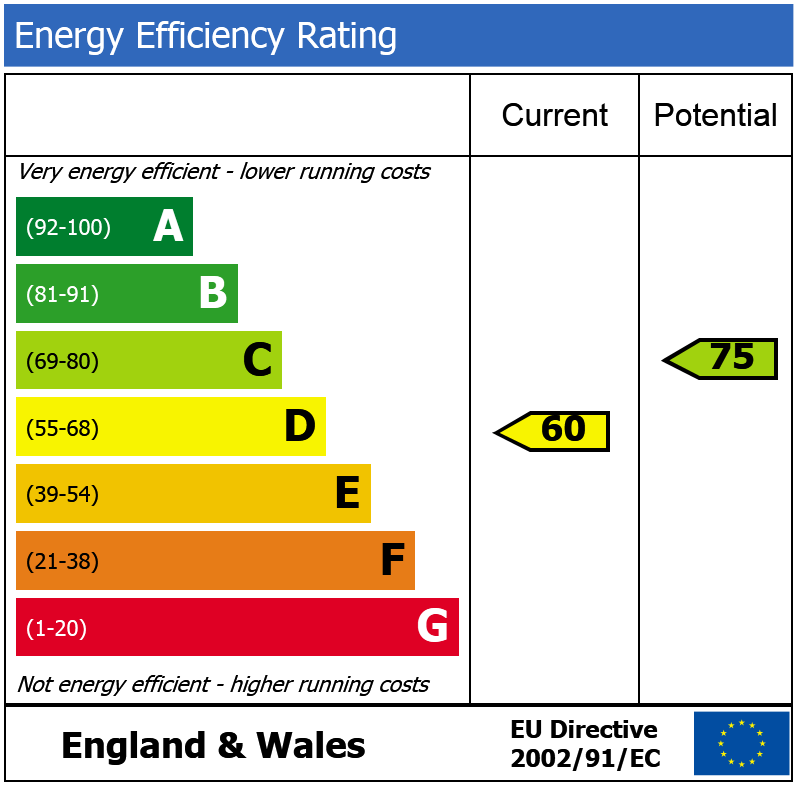 The second floor comprises a double bedroom (10’10” x 10’6”) with fitted cupboards, and has an en-suite shower-room. The third bedroom (15’5” x 12’2”) provides access to the useful eaves storage and has concertina wooden doors to the west-facing terrace, which has a tiled floor and a smoked glass surround. 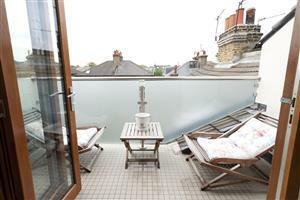 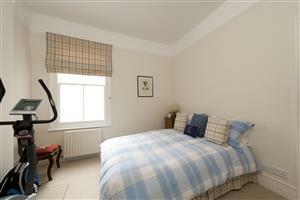 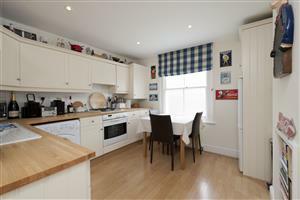 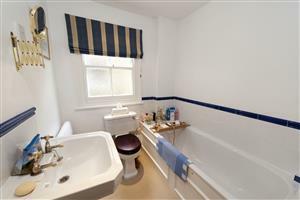 The flat is presented in an immaculate condition throughout and can be moved into immediately.